“From a letter recieved this week the news is conveyed of still another of Kelowna’s residents, Mr. Gilbert J.L. Slater who has given his life in the Great Empire’s cause. “Mr. Slater came to Kelowna in 1912 and was for sometime connected with the Bankhead orchard. He made many friends during his stay here, being especially active in connection with the work of the Anglican Church, where he acted as a lay reader. He was an Oxford University man, and keenly interested in rowing, having been one of the “Blues.” This experience came in useful in 1913, when he coached the local teams for the racing shells. “He went home to the old country about Easter,1914, intending to go into fruit growing there. When the war broke out he immediately offered his services and was given a commission in the 8th Worcesters, of which he was made Adjutant. “Since then he has seen much active service. It was on the 29th of April that he met his death. He was on duty in the trenches and had just got up to answer a call on the field phone, when a bomb exploded near him, and he was struck on the groin. The War Diary of the 1/8th Worcesters records that on the 27th of April the Battalion relieved the 1/5th Royal Warwickshire Regiment south of Fonquevillers on the Somme. On the night of the 30th May/1st May a heavy bombardment was opened on their right by another Division. The enemy opposite replied on their trenches, with light shrapnel and heavy high explosive shells. Three shells in quick succession fell in the neighbourhood of the HQ Telephone Station. 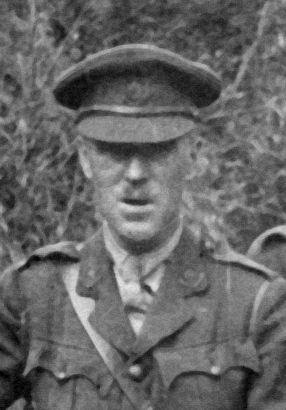 Lieutenant and Adjutant Slater who had just answered a Brigade call was struck in the side by a large piece of H.E. shell and died within half an hour. The door of the Telephone Station was stove in and the entrance blocked with fallen earth, but the telephonists continued to send messages, though they could have crawled out through a small triangular hole at the foot of the door. The shelling was severe only for a very short time and their front was quiet again within three-quarters of an hour. At the time of enlisting, Slater lived at Summerville, Lower Howsell – possibly with his mother, as a Mrs Slater was involved in the local Territorial Comforts Fund. Before taking up the duties of Adjutant, he was a platoon commader in the D (Evesham) Company, later combined with C (Malvern) Company to form the new B Company.